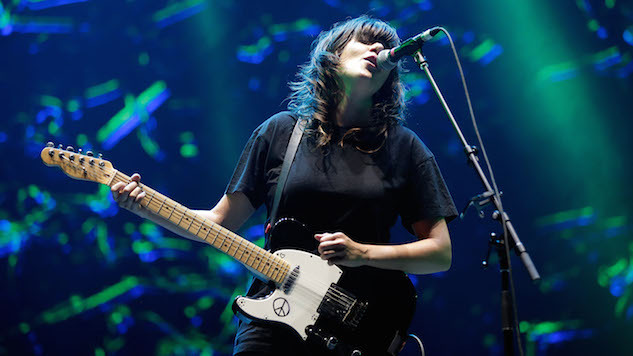 Australian singer-songwriter Courtney Barnett has teased new music in a video posted on Twitter. This new material would be Barnett’s first new music as a solo artist since her critically acclaimed 2015 breakthrough album, Sometimes I Sit and Think, and Sometimes I Just Sit. Late last year, Barnett released a collaboration LP with Philadelphia singer-songwriter Kurt Vile called Lotta Sea Lice, which was also well-received among fans and critics, and was listed at #5 on Paste’s list of the 50 best albums of 2017. Watch a Paste Cloud performance of Barnett performing “Elevator Operator” circa 2015 below.